Elegant, classy & beautiful! 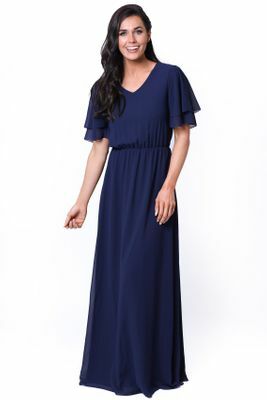 This chiffon maxi dress features a soft v-neckline, gathered elastic waist & long flowing skirt. 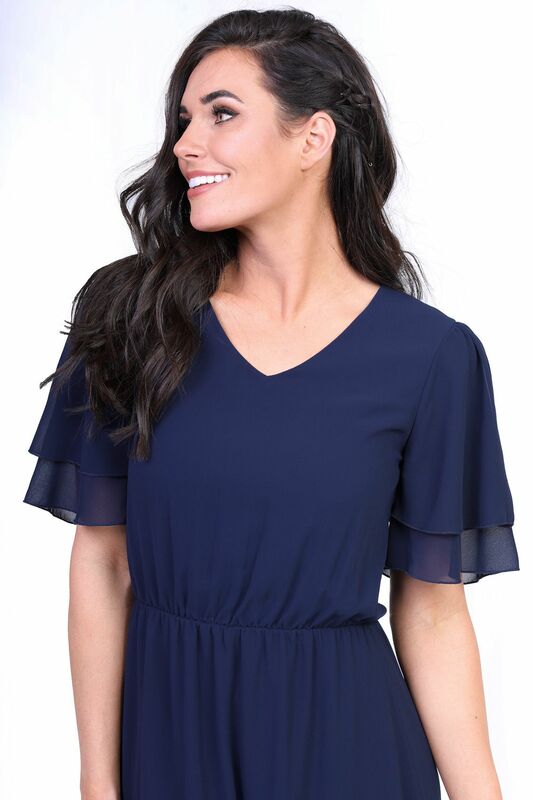 The tiered flutter sleeves are so pretty & feminine! Slip-on style & fully lined. It works beautifully for holidays, dances, graduation, church or date night. 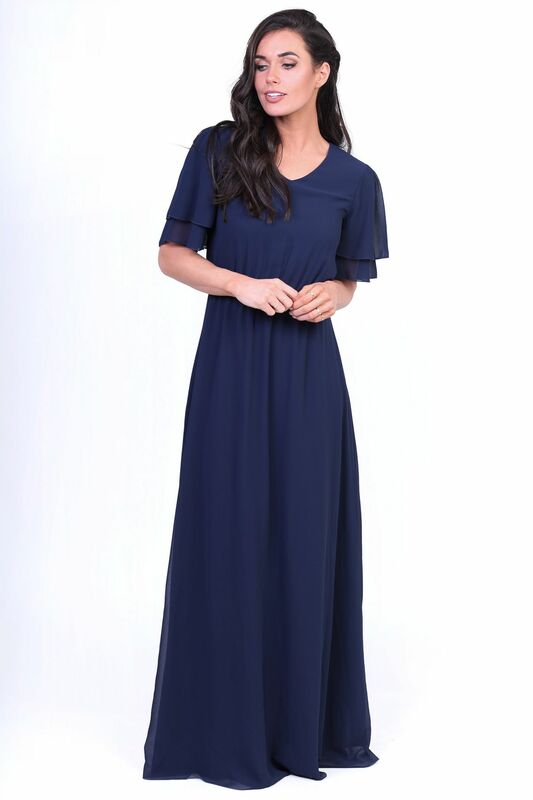 The flattering fit & gorgeous colors also make it a great choice for a modest bridesmaid dress! It's available in two solid colors that are so pretty you might just need them both! Also available in Burgundy Maroon. Length: (from shoulder to bottom of dress) XS-S 58", M-L 58.5", XL-2XL 59"